Fraud: By becoming a member, you confirm that the information provided in this form is true and that you agree to abide by the Terms and Conditions of use of this site. Please note that your membership can be cancelled without notice if it is determined that false or misleading information has been provided, the Terms and Conditions of use have been violated, or other abuses have occurred as determined by Northeast Fasteners in its sole discretion. If membership has been revoked, Northeast Fasteners reserves the right to refuse application or readmission to the membership program. Return Policy. We guarantee that the product will arrive in good condition or you may return the product for a full refund, not including shipping. If the return is due to customer error there will be a 20% restocking fee. All goods must be returned in the original carton and must not be altered in any way. You must report any damages, errors, shortages, etc. within 20 days from receipt of the product. UPS charges a $9 surcharge for delivery attempts to an incorrect address. We reserve the right to pass this charge on to customers who supply an incorrect address. Venue; Applicable Law. YOU AGREE THAT ALL ACTIONS OR PROCEEDINGS ARISING DIRECTLY OR INDIRECTLY OUT OF THIS AGREEMENT, OR YOUR USE OF THE SITE OR ANY SAMPLES OR PRODUCTS OBTAINED BY YOU THROUGH SUCH USE, SHALL BE LITIGATED IN THE CIRCUIT COURT OF HAMPSHIRE, MASSACHUSETTS OR THE UNITED STATES DISTRICT COURT FOR THE DISTRICT OF MASSACHUSETTS . YOU ARE EXPRESSLY SUBMITTING AND CONSENTING IN ADVANCE TO SUCH JURISDICTION IN ANY ACTION OR PROCEEDING IN ANY OF SUCH COURTS, AND ARE WAIVING ANY CLAIM THAT GRANBY, MASSACHUSETTS OR THE DISTRICT OF MASSACHUSETTS IS AN INCONVENIENT FORUM OR AN IMPROPER FORUM BASED ON LACK OF VENUE. 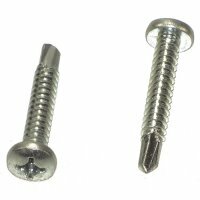 This site is created and controlled by NORTHEAST FASTENERS in the State of Massachusetts, USA. As such, the laws of Massachusetts will govern the terms and conditions contained in this Agreement and elsewhere throughout the Site, without giving effect to any principles of conflicts of laws. Verify Members' Address: Northeast Fasteners reserves the right to contact a Member via email to verify the accuracy of account information (including the Member's correct name and address) that is needed to provide the Member with the information he or she requested from Northeast Fasteners.